Upon entering the main hospital entrance on the third floor, take a left. Follow the hallway all the way down across the sky bridge over to the Surgery Pavilion. 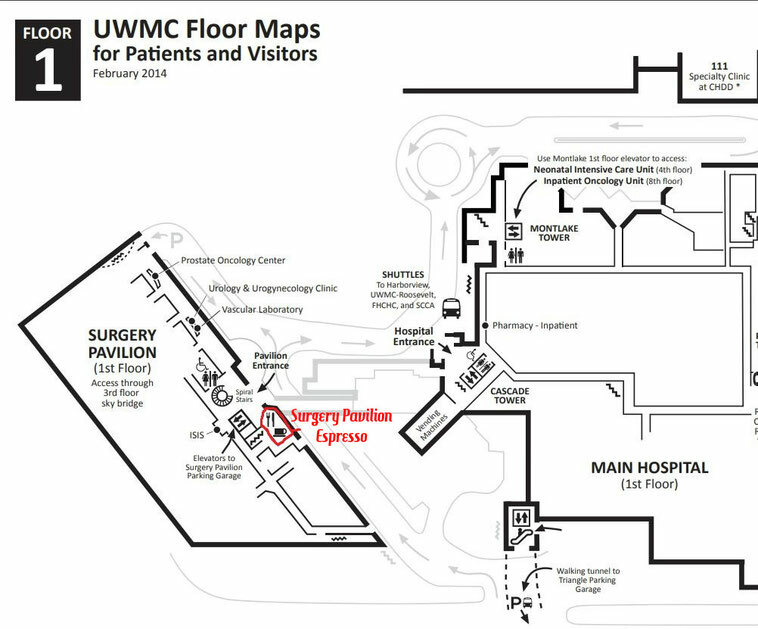 Take the Surgery Pavilion elevators down to the first floor, exit the elevators and the espresso bar will be to your right. We serve Torrefazione Italia Coffee. We have a selection of grab-n-go salads and sandwiches, breakfast pastries, snacks, tea and cold beverages. We accept: Visa, MasterCard, American Express, Discover and cash.